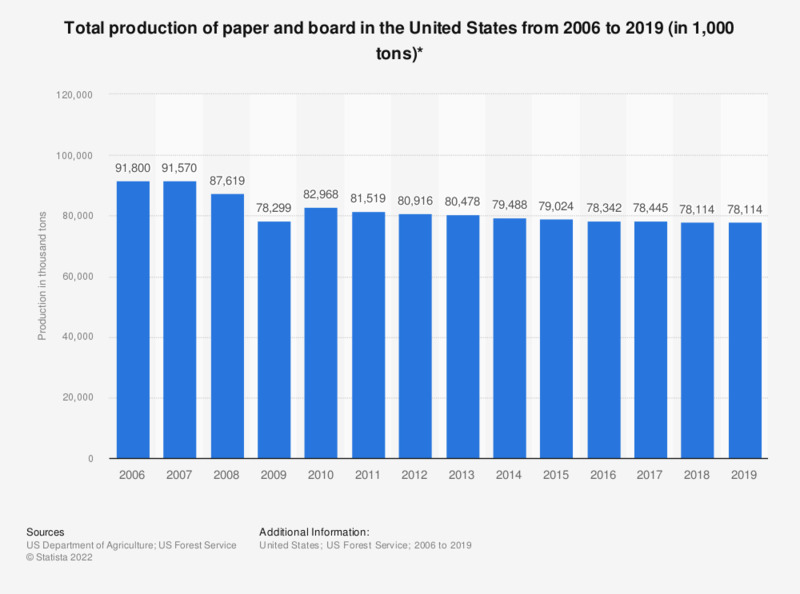 This statistic depicts the total production of paper and board in the United States from 2006 to 2016. In 2015, the total production of paper and board in the United States amounted to some 79 million tons. * Excludes hardboard. Includes wet machine board and construction grades. Figures for 2011-2012 were restated in the 2015 edition of the report. This statistic was assembled using several editions of the report.